As AVP of Research & Development for AlphaTrust, Rich is responsible for guiding the technical vision and direction for AlphaTrust as well as promoting continuous product innovation. Driving the company’s strong reputation of leadership and innovation, Rich manages AlphaTrust’s product development. 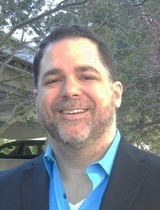 Rich began serving as a Director, Technology and Support at AlphaTrust in 2008. Prior to AlphaTrust, Rich spent more than 9 years with several leading companies’ development teams. During this time, his projects focused on web-based applications and Internet commerce systems. Rich has won multiple awards for his work with the auto finance division of Citigroup Inc., where he successfully developed and executed on the company’s digital marketing strategy.